o.e. wrecan drive, hunt, pursue, o.n. yrka work, take effect. cf. o.h.g. rasta league of miles, o.n. rost league. distance after which one rests. gothic rasta mile. stage of a journey. from l. restare stand back. be left. from,re- back+stare, to stand. Ah, miss Susie and Davis, lost marbles are a frequent topic of conversation ’round these parts. urge + play + rest = interesting combo. just some things i was looking at and thinking about. 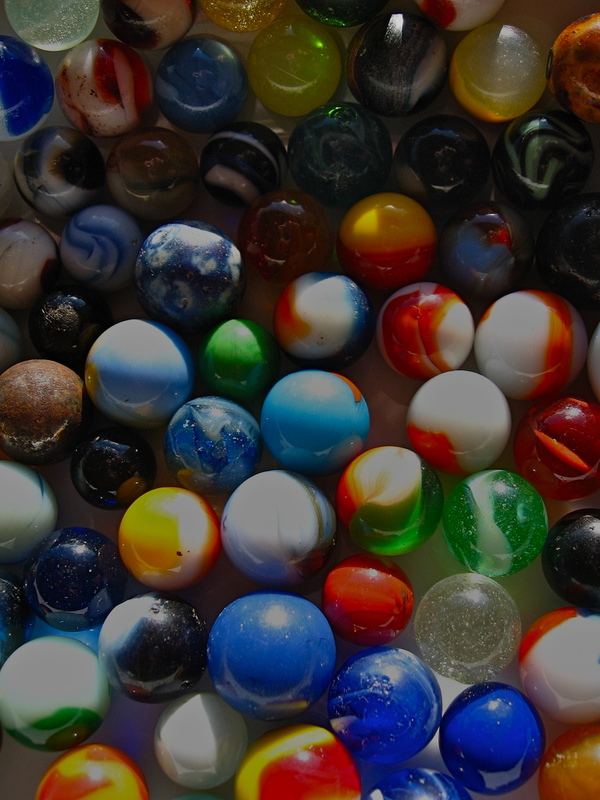 How quickly we can “lose our marbles” without sufficient rest and play.